Its large ski resort connected to the two glacier ski areas high above make Sölden one of the top winter sports destinations in the Alps. The Hotel Bergland is located in the heart of the village, close to the lifts and cable cars, and has an in-house sports shop as well asowners who love spending their spare time in the mountains. 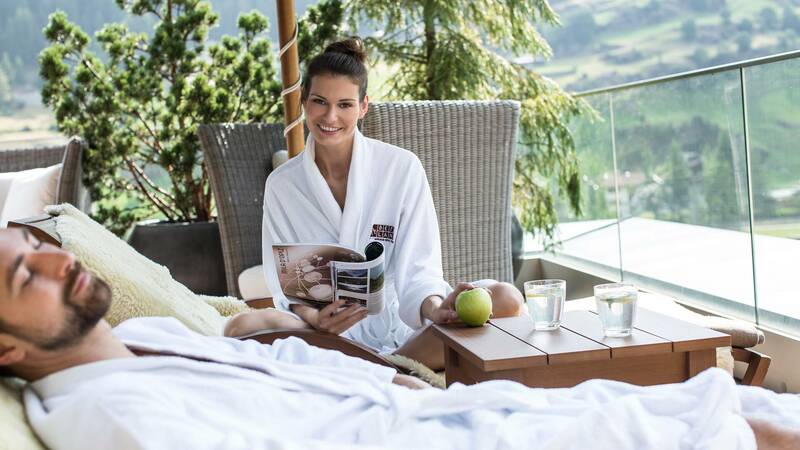 The *****Hotel Bergland in Sölden really is the perfect basecamp for an unforgettable winter holiday in Austria. Alpine skiing, ski touring, cross-country skiing or tobogganing? 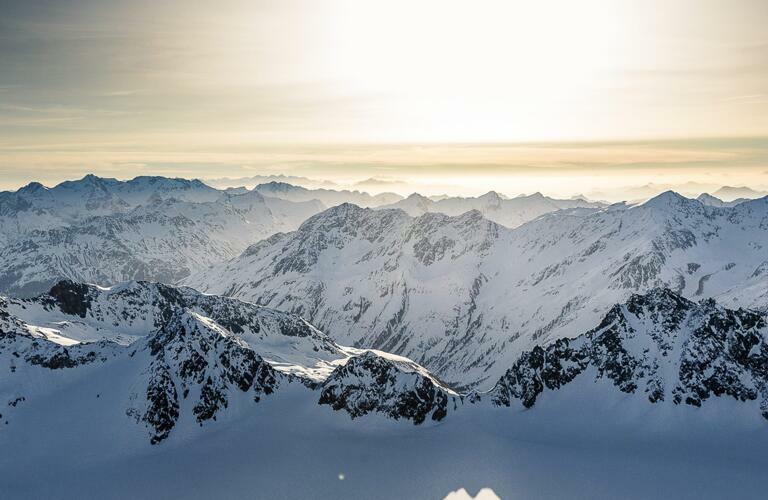 Whatever you are into, the Ötztal Alps provide a stunning natural backdrop for action and adventure in the mountains. 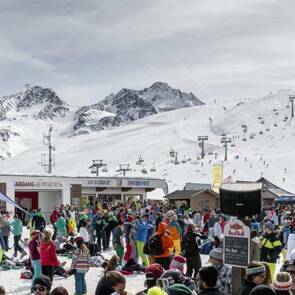 In the evenings there is plenty going on in Sölden's many restaurants, bars and clubs. Skiers and snowboarders can look forward to 144 kilometres of perfectly prepared pistes in the snowsure resort of Sölden. 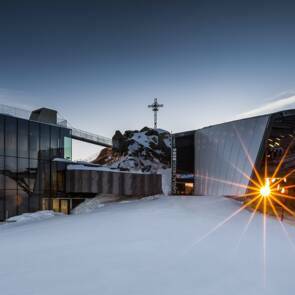 State-of-the-art lifts and cable cars transport visitors from the Hotel Bergland into the mountains in the blink of an eye. Lunch break? We recommend to book a table in advance. Our favourites: Wirtshaus Giggijoch, Tiroler Stube Gaislachkogel, Ice Q (must-see for everyone) and Gleterschertisch Rettenbach glacier. Thanks to its high altitude, Sölden has excellent snow conditions even in spring and autumn. And those who simply can't get enough can extend the winter into early summer with skiing on the 34km of pistes on the Rettenbachferner and Tiefenbachferner glaciers. Where is the best place to get everything you need for a great week on the slopes? The Hotel Bergland! Our hotel has its own sports shop with a team of friendly and experienced staff who will be happy to help you. We can also organise ski lessons for you and your family. Simply ask! Ski touring, tobogganing and cross-country skiing are just a few of the many alternative winter activities available in Sölden. The team at the Hotel Bergland also organises regular guided snowshoe hikes in winter.